I feel like I am making really good choices today and that feels great. For example, I chose not to make a sandwich with the 10-day-old lunchmeat. I also chose to put the lunchmeat in the trash instead of back in the fridge, and that felt like a good choice as well. 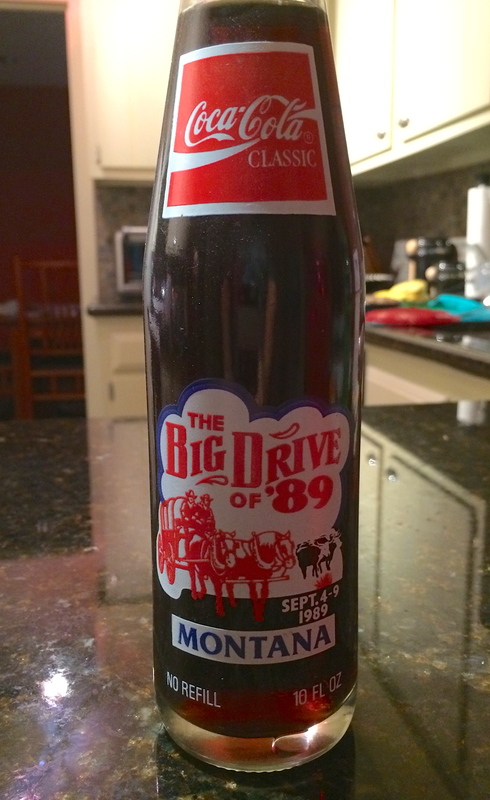 Coke Classic from 1989. Discovered in pantry 2014. But is old Mayonnaise saved, Mayonnaise earned? What about Folgers coffee cans filled with bacon grease? How does that apply to the savings factor? If the grease is used, I guess it could save money from buying lard- hmm? I’m not sure, because I only saw the bacon grease be used once or twice; but by-golly we had cans full of it under the counter neatly saved in Folgers coffee cans. My parents were not at fault, she was simply following a strange custom that was passed from one generation or friend to another. My brother and I were equally part of the disfuntional equation. We too had heaps of guilt internally piled on us for wasting things. More often than not, we would simple put the 10 -day -old lunchmeat back into the fridge for the next person to deal with. But when no one in the family likes to waste, then the issue starts to compound. The final result of a family being food thrifty is a kitchen filled with little items like mustard getting tucked into the door of the fridge with an expiration date six years old. Or Coors Light beer from a party five years ago sitting in the back of the fridge, just waiting for the right person to come along. Or a box of Casbah from 1999 hiding behind several layers of soup. Poor, lonely, unconsumed products. Maybe instead of being worried about being wasteful, I should have more concern for their feelings. 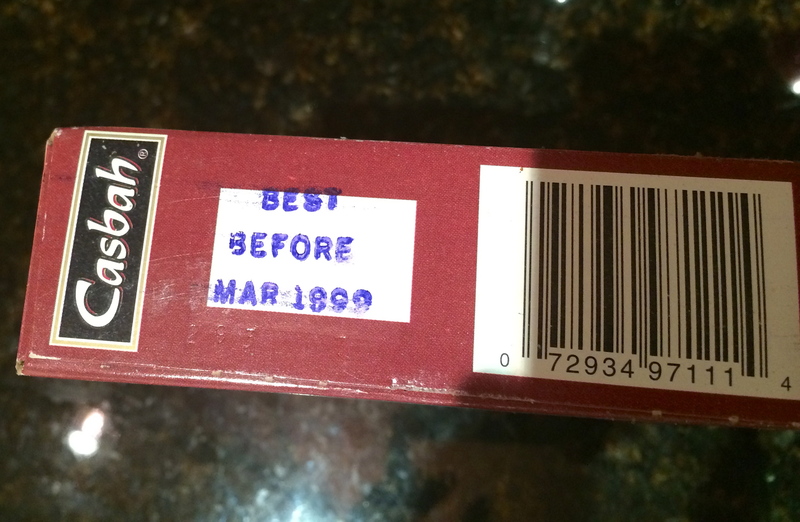 Best before March 1999. Discovered in 2014. With that mindset, I know I made a good choice today. I didn’t eat the aging lunchmeat and I placed it in the trash where it now has friends whose expiration dates have also passed. I am now grown woman with my own kitchen, but the familial practices run deep. It is quite a thing to overcome the generational institution of Scottish guilt, but that is what I did today. And tomorrow I shall repent.